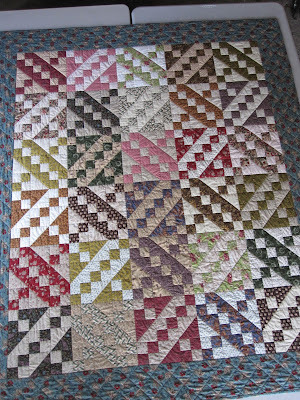 I finally got the binding all finished and put the label on the back. Then it got a gentle wash with some biodegradable soap. I like Soak, its a rinse free biodegradable soap with nice scents to choose from. This way you don't have to worry about running it through a rinse cycle and wondering if all the soap got rinsed out. I put some tables out in the garage so it was out of the sunlight but would dry quickly in the extreme summer heat! I could not believe how quick it dried. 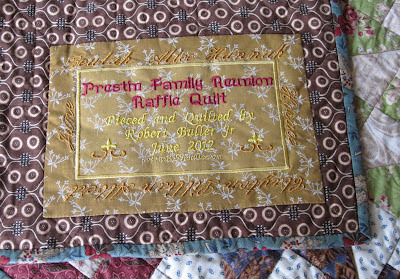 Around the edge of the quilt label I put all the first names of the Prestin siblings. It is the descendants of these siblings that make up our family reunion. I should have used a darker color of thread for the names. I also added my web address under the June 2012, but it does not show up well. I'm excited to see who will win it! 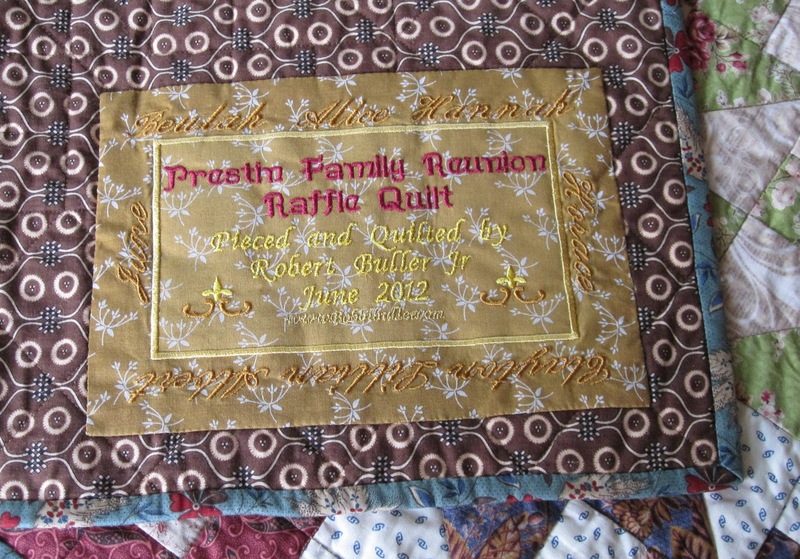 Love this quilt, Bobbi! And your labels are phenomenal! 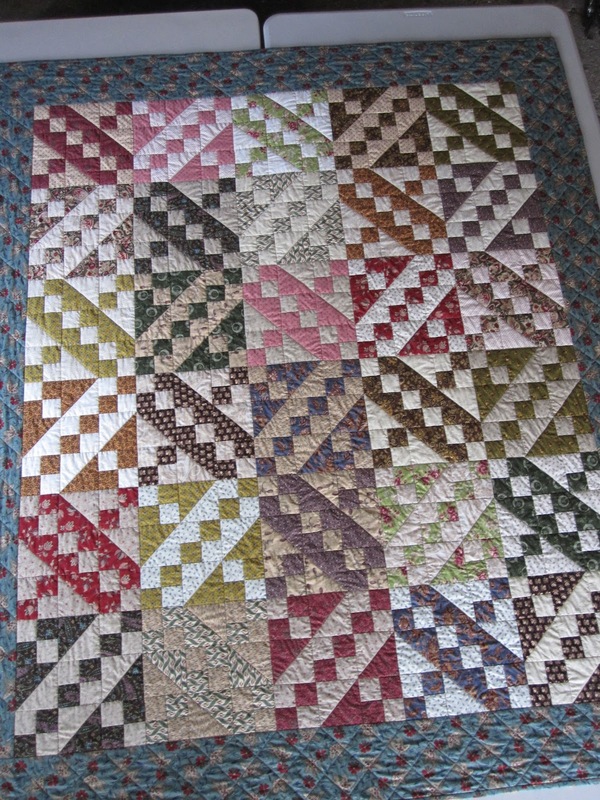 The quilt is beautiful!!!!!!! Whoever wins this is very lucky!